Cities have roads, parks, playgrounds and other infrastructure assets that are maintained, renewed and built on demand. Cities use a geographic information system for various tasks, including analysing the needs of the residents, creating reports and organising maintenance. Data models are an essential part of this system. The City of Espoo's KIRA-digi funded project "Developing an open source asset management system and its interfaces", led by Saara-Maija Pakarinen, has examined infrastructure asset data modeling from many viewpoints. The data model has been developed in collaboration with Gispo and designed with pgModeler, a PostgreSQL database modeling software. Even though public infrastructure asset management affects every citizen, not a single open geographic information system has been designed specifically for this purpose, making Espoo's project even more meaningful. 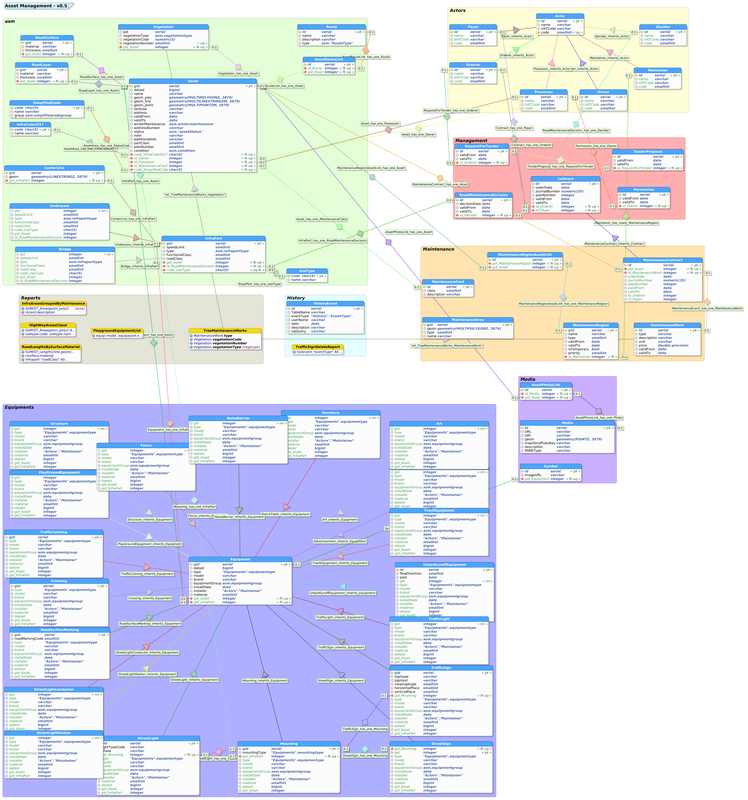 The data model is published on a GitHub-repository, which also contains the project's wiki. This makes it easy for anyone to try the data model and contribute to future development.